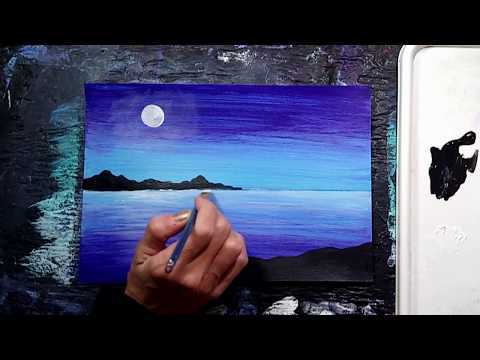 Surreal Landscape Acrylic painting demo timelapse. Twilight cove with water reflections and a tree silhouette. A full painting tutorial will be posted soon!